Pest description and crop damage Adults of these mites (Eriophyidae) are very tiny and can be seen only under magnification. They are light to amber yellow, cylindrical, tapered at the posterior end, with two pairs of short legs at the front of the body. The overall appearance is that of a small worm. Immatures appear similar to the adult, but are smaller. 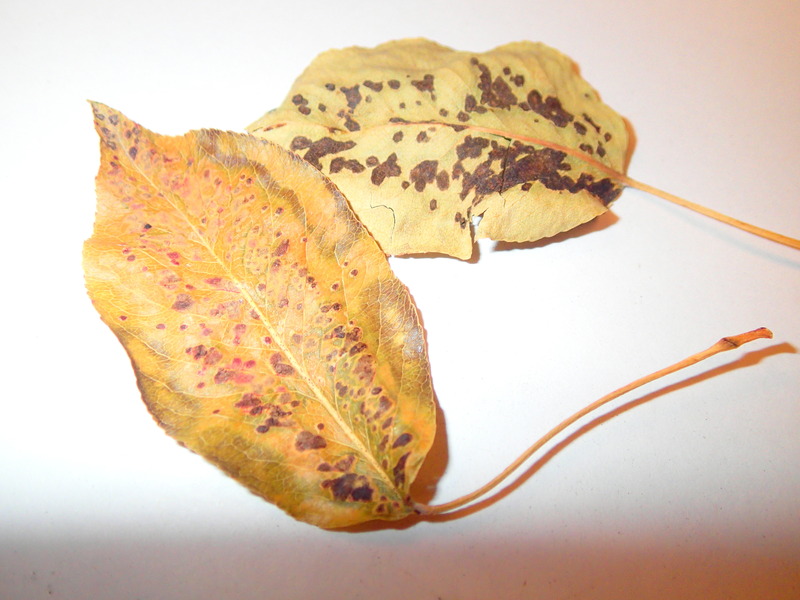 Feeding on leaves causes reddish to yellowish green blisters; blisters turn brown or black as the tissue dies later in the season. Leaves may drop prematurely. Loss of foliage weakens trees, reduces shoot growth, and interferes with fruit maturation and fruit bud formation. Feeding on fruit causes russeted, sunken spots. Biology and life history Blister mites overwinter as mature females under outer bud scales. As buds swell in the spring, the mites burrow inside to feed. After petal fall, they move to leaves or fruit, causing the characteristic blisters. Several generations per year may develop within the blisters. As they become more crowded, mites move to growing terminals, where their feeding produces more blisters. Fruit damage is caused by feeding injury to buds before bloom-mites do not reside in the blisters on fruit. Mites move from tree to tree, perhaps by wind or carried on birds or insects. Scouting and thresholds Scouting for blister mite is not effective during the current season, as by the time blisters are noticed the damage is done. Plan on taking action the following fall or winter if fruit damage is noted. Sufficient control usually is achieved by midsummer by biological agents. Phytoseiid predator mites almost always keep mites under control if broad-spectrum insecticide applications are avoided. Heavy rain and cold weather also suppress mite numbers. Broadleaf weeds like mallow, bindweed, white clover, and knotweed enhance mite numbers. Suppression of these weeds with cultivation or grasses may reduce mite numbers. Mites may be washed from the tree with a strong stream of water. Water trees properly, as drought-stressed trees are more susceptible. Avoid excessive nitrogen applications, as this encourages mites. Small, whitish eriophyid mites overwinter under bud scales and produce blisters on leaves. Fruit is sometimes russeted and deformed. Apply sprays during dormant or delayed-dormant period (March to April). Do not use after pink appears in buds. Use enough water to cover all of the tree thoroughly including small limbs and shoots. superior-type oil-Some formulations are OMRI-listed for organic use. sulfur (dry flowable, micronized)-Some formulations are OMRI-listed for organic use. Potential for phytoxicity with hot temperatures. lime sulfur (calcium polysulfide)-Formulations vary; see label for rates. May be mixed with horticultural mineral oil at 4 to 8 gal/a up to 400 gal water per application. REI 2 days. Some formulations are OMRI-listed for organic use. Potential for phytotoxicity with hot temperatures. sulfur (dry flowable, micronized)- Potential for phytotoxicity with hot temperatures.